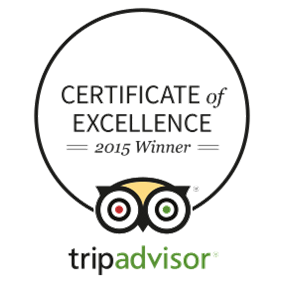 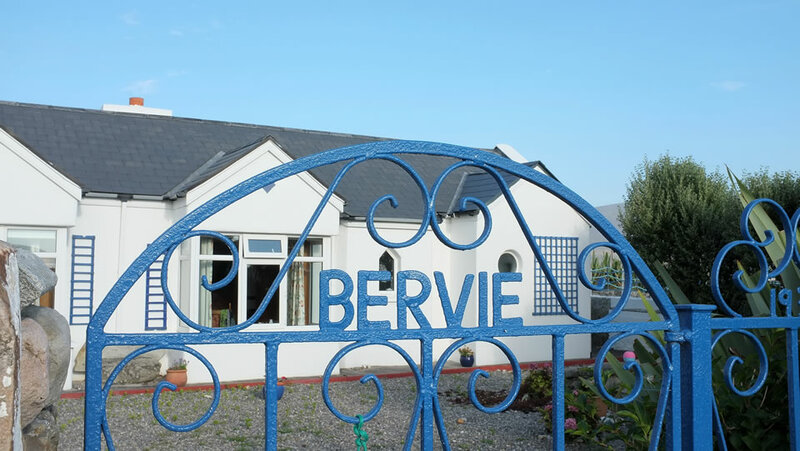 The Bervie has 14 beautifully appointed en-suite rooms, some overlooking the islands of Clew Bay and the Cathedral Cliffs of Minaun. 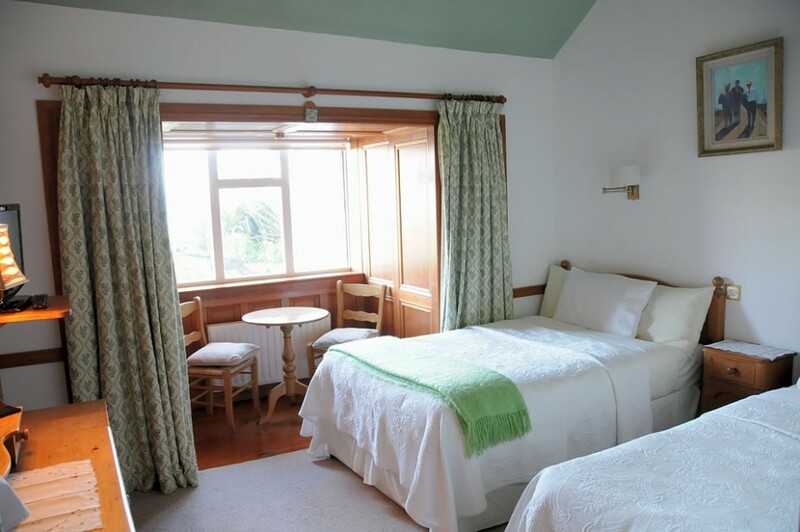 All rooms enjoy the fresh, clean air and the constant sigh of the sea. 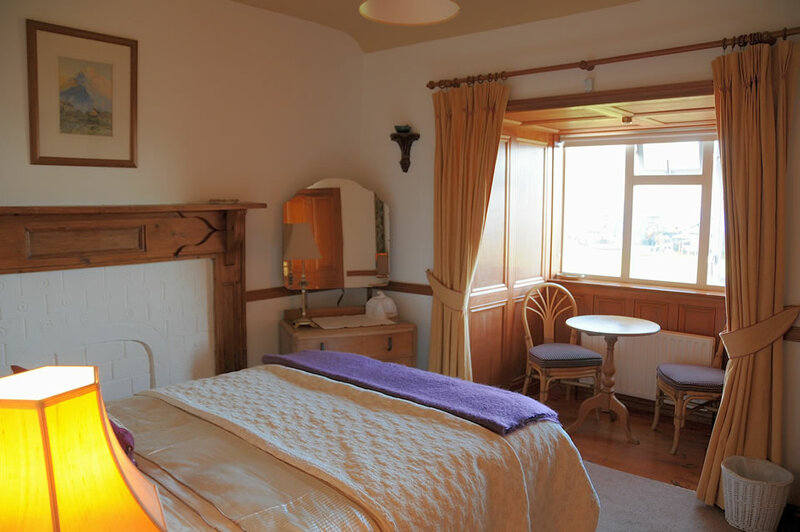 For quiet repose, gather round the turf fire in the cosy lounge and read, chat, write a letter, doze off. 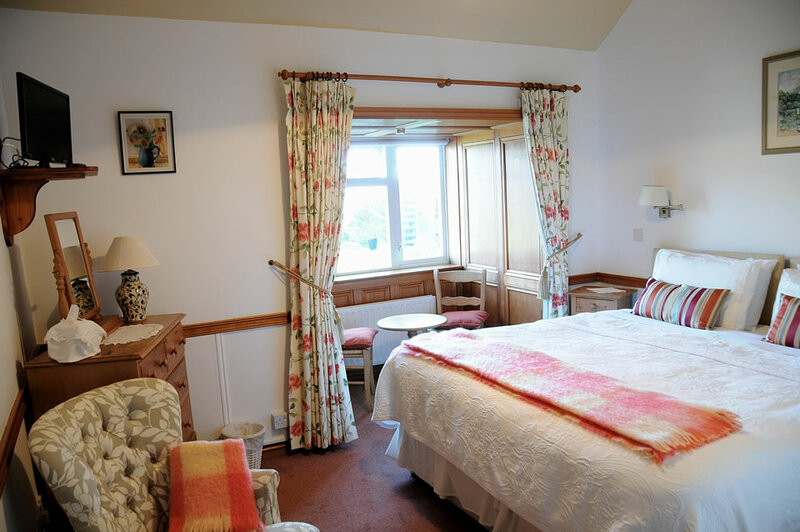 The rooms and hallways are hung with delightful pictures, most of local interest, and many painted by local artists or visitors (present and former). 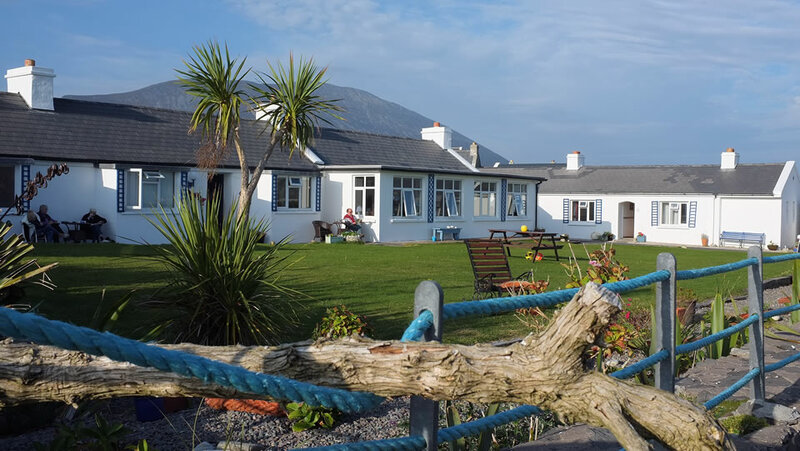 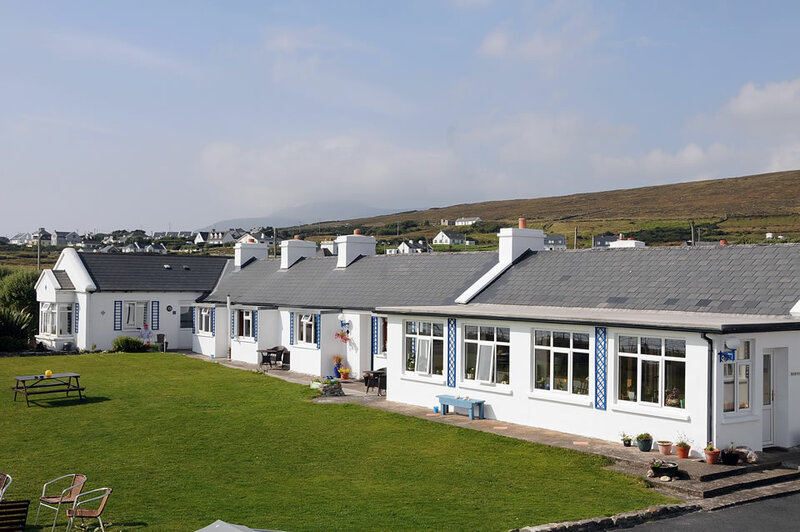 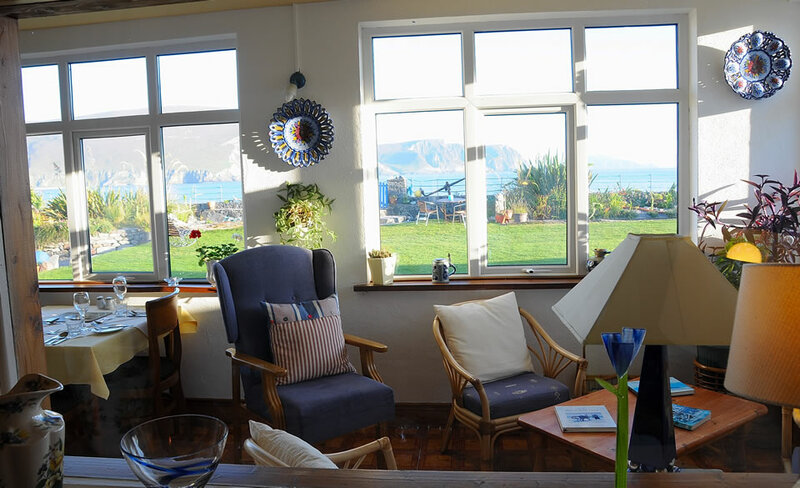 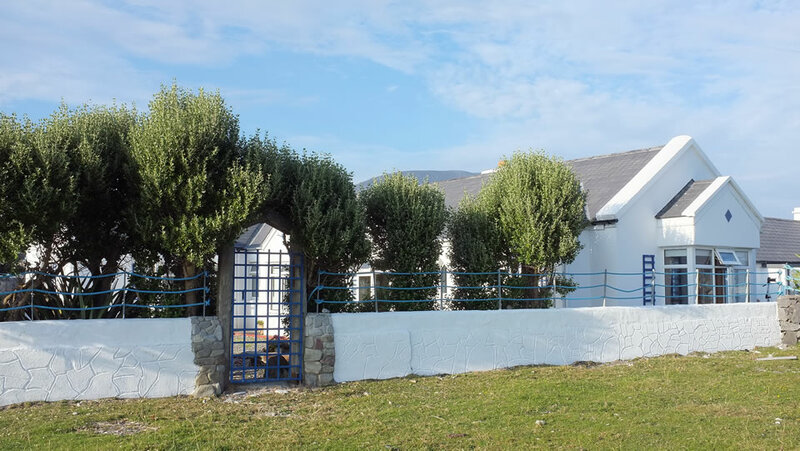 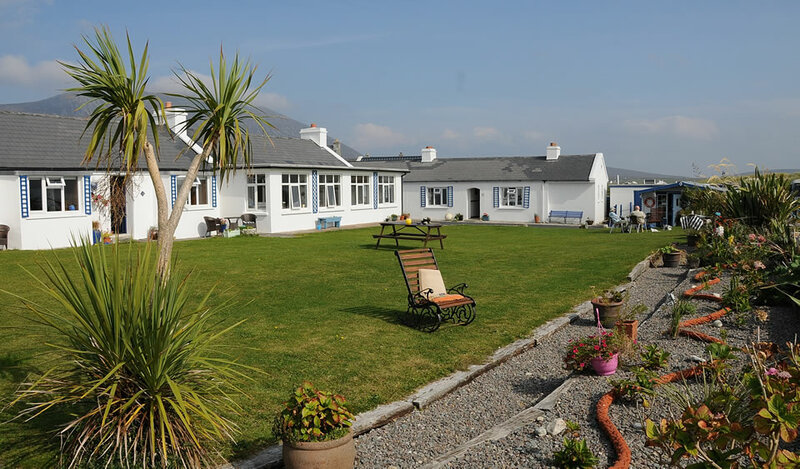 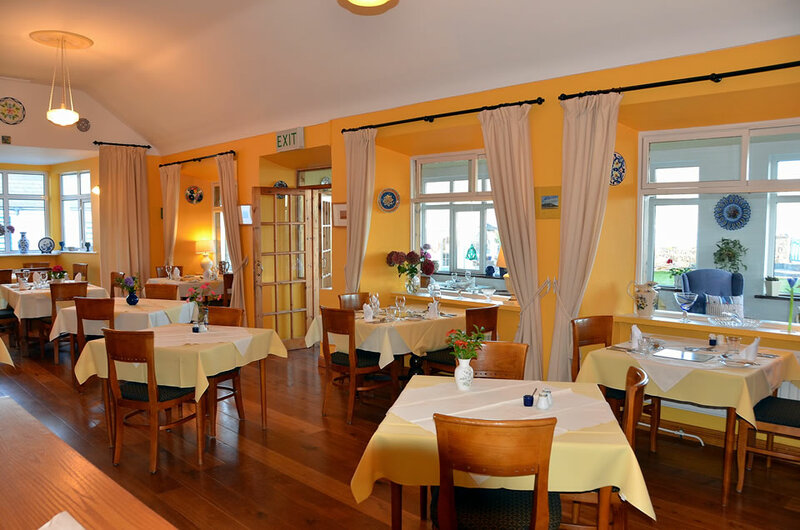 The pleasant garden leads directly onto the golden sands of Keel Strand, with the sweeping views of Minaun and Clew Bay to the south and southeast, Slievemore mountain directly behind to the north, and Croaghaun mountain, overlooking Keem Bay, to the west. 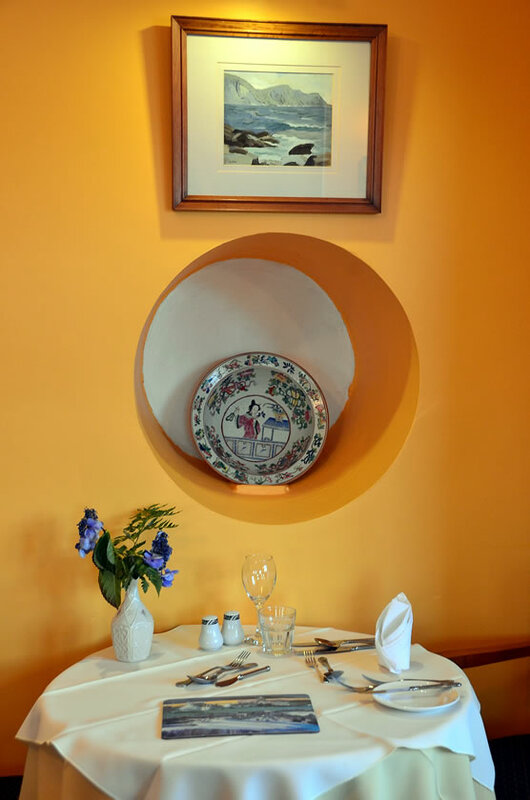 Families are very welcome. 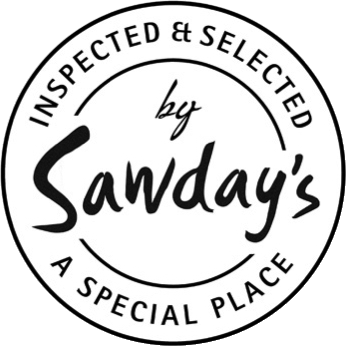 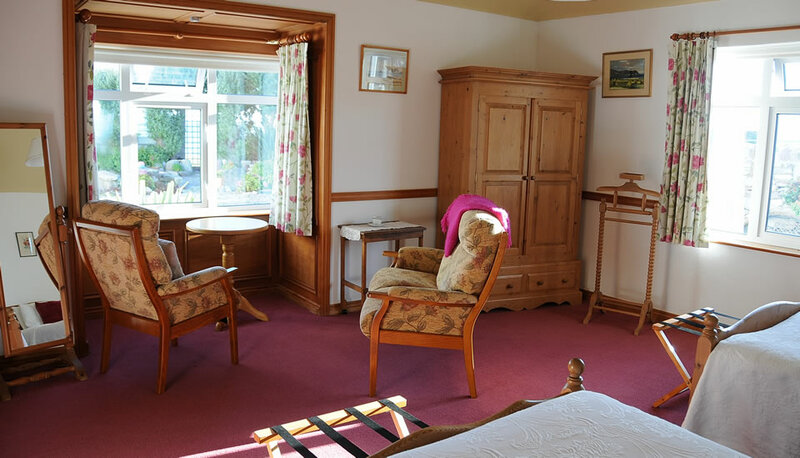 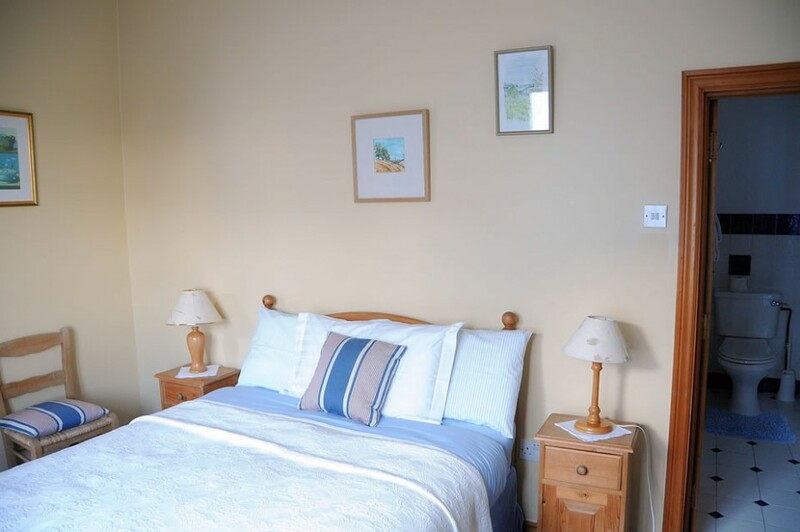 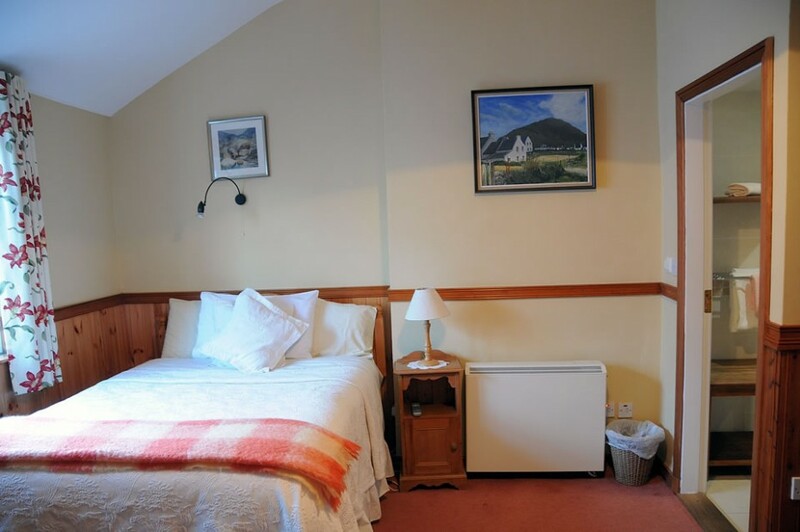 All bedrooms have multi-channel TVs and WI-FI is available (free of charge) throughout the Bervie. 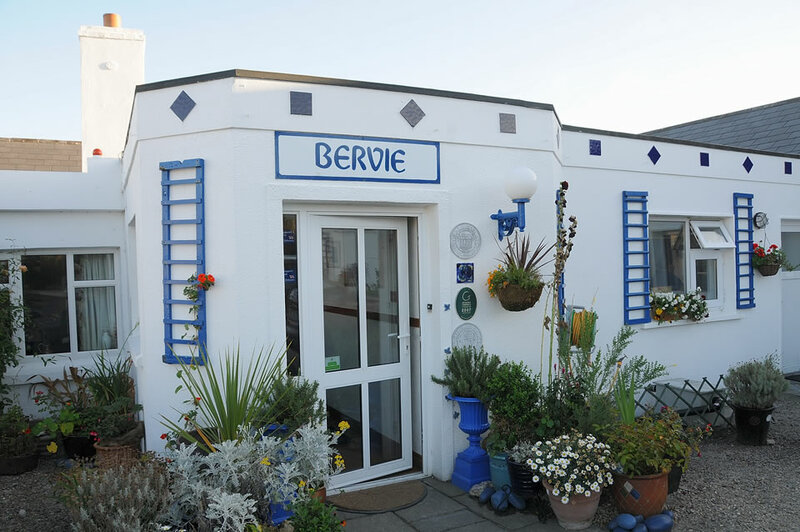 There is ample free parking at ground level outside the reception area.